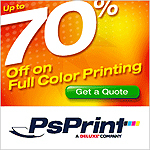 Purchase your print media online and have it shipped to your home or office from anywhere. 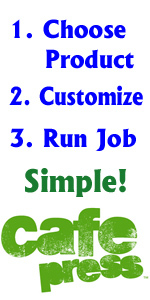 Whether you’re looking to customize tshirts, tote bags, or water bottles for your company, CafePress can produce 1 or a ton of your company promotional products. 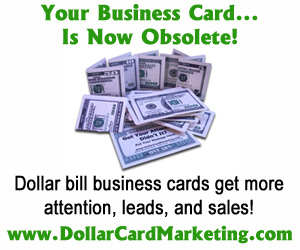 Dollar Card Marketing creates the most unique offline marketing tool with their realistic dollar bill business cards and drop cards.